Pero su sonido es prácticamente el mismo. Surgidos tras la eclosión de bandas de corte Lo-Fi en los Estados Unidos, los londinenses pasan por ser uno de los grupos con un concepto musical más simples: no hay apenas arreglos ni florituras instrumentales en sus temas, pero sí una serie de hooks y de riffs altamente adictivos en casi todos ellos. Su Pop de guitarras tiene la eficiencia de un reloj suizo, las armonías vocales son de nuevo protagonistas absolutas, y la mayoría de sus estribillos son más que contagiosos. Sus canciones han pasado a ser, como dijimos, algo más reflexivas y serenas, pero continúan poseyendo ese transfondo pseudo sentimental, existencial y algo nostálgico. Los temas redondos continúan siendo los protagonistas: Tell me, Teenage, Broken toy, Waiting for something to happen, If you still want me, My heart beats, So tired; son los más enérgicos, los que coronan con esos estribillos marca de la casa y que pueden hacer de Veronica Falls un grupo reconocible a la primera. Shooting star y Everybody´s changing son dos de las canciones que destacaría por ser cortes mucho más nostálgicos y personales y que se salen algo de la línea más animosa del disco. Un segundo trabajo que llega, como he leído por algún lado, algo cercano al primero, pero que no le resta interés ni desde luego calidad. Como dije anteriormente, Veronica Falls pueden ser en breve una de esas bandas de las que dejan una impronta propia, un sello distintivo. A poco que evolucionen en su sonido así será. Por lo pronto, sus dos primeros álbumes son más que notables. “Waiting For Something to Happen sees the band emerge as one of the most potent and affecting, fully-formed indie guitar pop acts we have around. Beautifully mature and poignant, this marvelously assured second record sees the band throw off the casually morbid references to elegantly distill the essence of an aimless twenty-something existence – the collective anxieties, tension and confusion of moving from adolescence into fully fledged adulthood – into a set of immaculately conceived, perfectly wrought pop songs. “I’d say the word “wistful” really describes the mood of the album”, Clifford muses. “We chose the album title because to me it captures what people our age are all going through”. Indeed, the emotional through-line, from the title down, is one of slowly coming to terms with the process of growing up and eventually learning to face adult responsibility, of leaving behind the safe haven of “driving late at night, I’ll let you listen to the music you like…everything’s alright” (as they sing on the dreamy, dewy-eyed “Teenage”), and then searching for a “shooting star to point me in the right direction” (“Shooting Star”). Far from retreading the playful atmosphere of the debut, the band here mine a much more rich, emotionally resonant vein, be it weariness with dead end social scenes (“So Tired”), or the fear of your peers moving on with their lives before you’re ready (“Everybody’s Changing”). Musically too, this album sees the band evolve into a more poised and confident pop entity, the melodies bolder and songs more muscular. Recorded with Rory Attwell (who has worked with everyone from The Vaccines to Male Bonding), these are tracks which spin gorgeous, sun-kissed melodies across their tales of growing pains and romantic dysfunction. So there are deliciously askew pop belters in the form of “Buried Alive” and “Everybody’s Changing”, but there are also achingly tender moments present too, from the touching love song “Broken Toy” (“I am broken too, a broken toy like you”) to the gentle reverie “Daniel”, which strips the track to its barest essentials – shimmering guitar lines and perfectly harmonized vocals sighing, “nobody needs to know what we know, nobody needs to go where we go” to perfectly heart rending effect. Para hablar de el debut homónimo de Veronica Falls (2011) he de reconocer dos cuestiones: La primera, que de entrada el disco me costó mucho digerirlo. 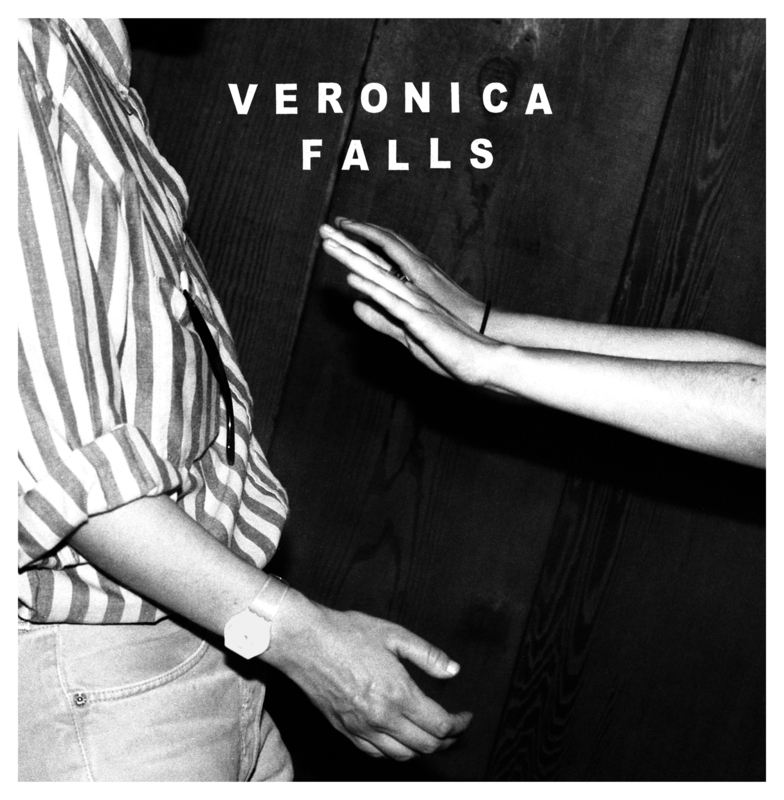 Segunda, que una vez asimilado, Veronica Falls es un álbum que te engancha, especialmente la primera mitad del mismo. Su sencillez instrumental, un tanto machacona al principio, se convierte en una de sus virtudes. Con las primeras escuchas, las sensaciones además fueron algo encontradas, porque el disco combina de igual forma Lo-Fi (Stephen) que actitud Post-Punk (Beachy head) o sonidos más contemporáneos con gentes como The Pain of Being Pure at Heart (Misery, The box) con la vieja escuela C86 (Bad feeling). Pero todo ello se adereza con otras canciones que son mucho más conservadoras en sus planteamientos, y que me evocaban viejos sonidos de la Costa Oeste, gracias a las sublimes armonías vocales chica-chico, llevadas a un extremo de sutileza difícilmente imaginables en los tiempos que corren (The fountain). Y ésta es una de las mayores virtudes del álbum: las armonías vocales son impresionantes. No hay una sola canción del disco en el que no rayen a una altura más que notable. Los temas son, además, grandes composiciones en su mayoría, y elevan el nivel de Veronica Falls (2011) hasta una altura notable que roza el sobresaliente. 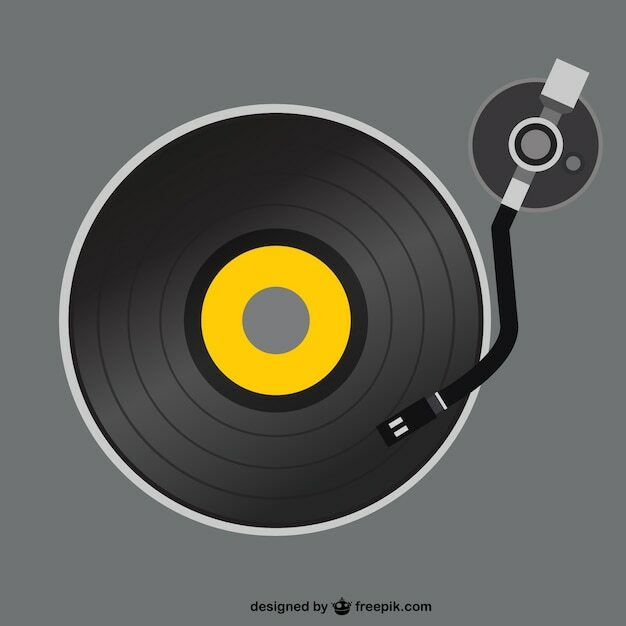 Me diréis que no es un disco demasiado original, aunque la originalidad del álbum estriba precisamente en la inteligente mezcla de elementos, consiguiendo un sonido, dentro de sus limitaciones, bastante clásico. “At the end of the video for Veronica Falls’ “Bad Feeling“, Roxanne Clifford, the group’s bob-haired singer/guitarist, clad in a dashingly fey polka-dot blouse, picks up an antique book– the ultimate twee signifier– and lights it on fire. Given indie rock’s recent jangle-pop overload, and the comments that Veronica Falls have made in the press (“people like to romanticize about C86 [but] there were lots of rubbish bands associated with it…”), it’s tempting to wonder aloud: is “Bad Feeling” the C86 version of that video where George Michael goes iconoclastic on us and sets his own leather jacket ablaze? Well, maybe not, but at the very least it’s a decent visual metaphor for the band’s sound: expertly stagy revivalism with the slightest hint of mutiny. You could have said the same thing of Slumberland labelmates and fellow fresh-faced indie poppers the Pains of Being Pure at Heart when they first burst out the gates with Pastels badges on their sleeves– the quartet’s self-titled debut hits with the same sort of immediacy that that first Pains LP did. Both records do familiar things so well that, occasionally, momentarily, they actually trick you into thinking you’ve never heard anything like them before. But, of course, you have. In fact, if you’ve been paying any attention to Glasgow/London hybrid Veronica Falls, you’ve actually heard some of these very songs before: The single “Found Love in a Graveyard” made the rounds almost two years ago, and then came “Beachy Head”, “Bad Feeling“, and “Come on Over” earlier this year. 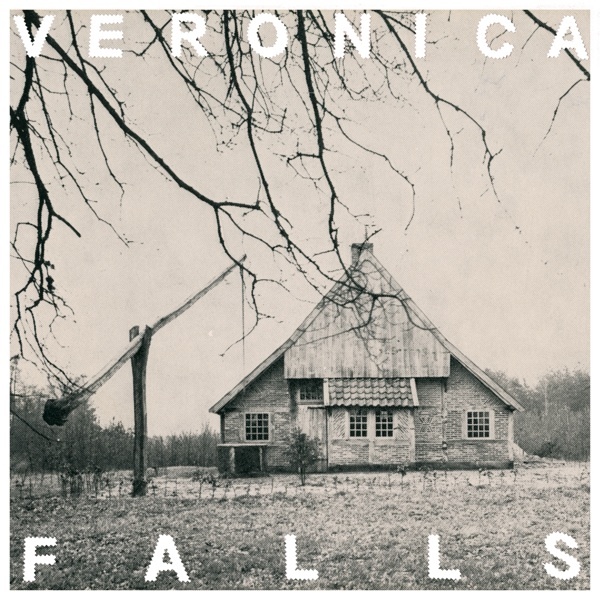 But after a run of strong 7″‘s, their self-titled debut finally confirms that Veronica Falls are more than a singles band. Though they operate with a pretty limited sonic palette (boy/girl harmonies; dueling, reverb-drenched guitars; lots of tambourine), there’s a sustained momentum over these 12 tracks that even manages to bring in some unexpected influences– “Beachy Head” sounds like a zombified Mamas and the Papas thrashing at surf-punk guitars with shards of glass. Given the group’s penchant for ghosts and reverb, it’s tempting to grab for a familiar collection of low-hanging adjectives: dreamy, ethereal, haunting– except that, actually, Veronica Falls is none of these things. There’s a striking physicality to these songs, and Guy Fixsen and Ash Workman’s production makes every tambourine beat hit with the clarity of a shattering window. The guitar sound is immaculate: Clifford and James Hoare’s strings don’t jangle so much as bristle– taut chords that dart restlessly in and out of each other’s way. 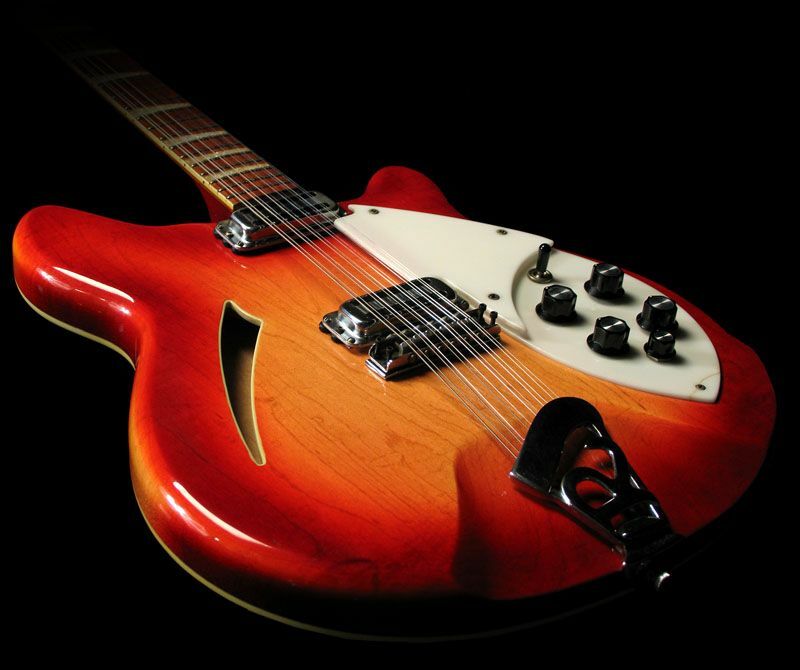 There’s a clarity of texture– a specificity even– to every element of the band’s sound. Which makes it something of an anomaly: shoegaze that looks you square in the eye.